What’s behind Elliott’s demand on Hyundai Motor? 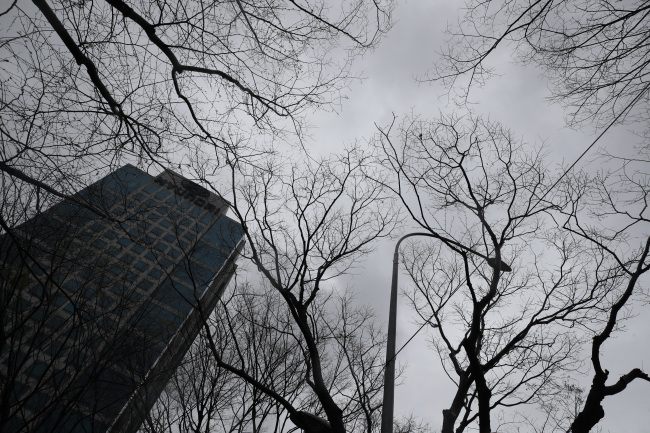 Less than a month after Hyundai Motor Group received a letter of congratulations from Elliott Advisors on its corporate governance reform plan, another letter arrived at the South Korean carmaker on Monday evening, demanding plan B. Via its subsidy in Hong Kong, the US activist hedge funds said the nation’s second-largest conglomerate should merge Hyundai Motor and its parts making affiliate Hyundai Mobis, and ditch its plan of spinning off Mobis’ module manufacturing and after-sales parts businesses and merging them with Hyundai Glovis. By merging Hyundai Motor Company and Mobis, Elliott urged the group to create a holding company and have a clear policy for dividend payouts, which improves the payout ratio to 40-50 percent as a percentage of net income, it said. 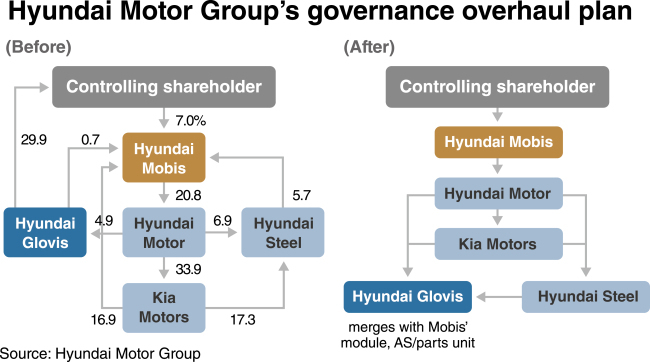 As clearly stated, Elliott is attempting to maximize their profits, as Hyundai Motor Group’s plan of governance restructuring missed the market expectation of turning Mobis into a holding company. “Hyundai’s plan is about maximizing the profits by selling Glovis shares held by Chairman Chung Mong-koo and his son Chung Eui-sun at high price and then with that money, purchasing Mobis share,” said Park Ju-gun, CEO of CEOScore, a local business tracker. “Such a plan does not necessarily benefit shareholders who hold large stakes in Hyundai Motor and Kia Motors … and so does Elliott,” he said. But some insiders viewed that Elliott’s plan as “unrealistic,” considering Hyundai’s current situation. “The plan suggested by Elliott might take more than 5-10 years of restructuring, and we don’t have time for that,” said an official, referring to the state drive to complete governance restructuring soon. Hyundai has been under pressure to cut cross-shareholding links, blamed for allowing the controlling family exercise power over the steel-to-auto business with relatively small portion of shares on their hands. The US fund also demanded the group to cancel treasury share in Hyundai Motor and Mobis and proposed to add three independent board members each to improve the group’s corporate governance. Of the four demands made by Elliott, Hyundai might take the option of improving payout ratio, Park of CEOScore said. While some say Elliott was asking too much, experts like Bruce Lee of Zebra Investment in Seoul, said that the US fund demand appears to be more than just “making noises” and that the situation could go like its previous battle with Samsung over its controversial merger between Samsung C&T and Cheil Industries in 2015. Moreover, Elliott could drive the National Pension Service, the state-run pension operator which also owns 9.85 percent in Mobis, into a corner. A stewardship code is a set of guidelines urging fund managers and institutional investors to disclose their reasons for exercising voting rights at shareholder meetings, and explain to shareholders if their actions do not comply with any of the principles in the code. It was a part of President Moon Jae-in’s campaign pledge.